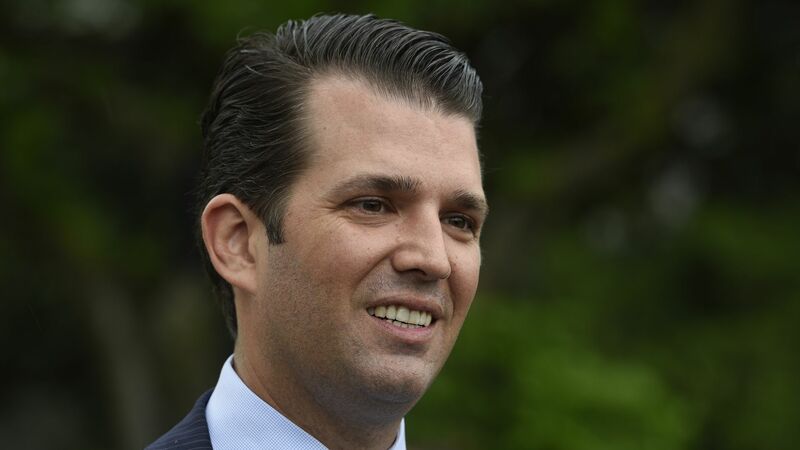 Donald Trump Jr. spoke of his relief at the Mueller report findings to Bloomberg Radio. Photo: Leigh Vogel/WireImage. Donald Trump Jr. told Bloomberg Radio's "Sound On" Wednesday he's not ruling out running for office. QuoteI definitely enjoy the fight. I definitely like being out there and I love being able to see the impact and the difference that it makes on these people's lives that I get to see all over the country." The details: In the wide-ranging interview with Bloomberg chief Washington correspondent Kevin Cirilli, President Trump's eldest child told his father decided to get into politics at 68 years old. "I'm 41, I've got plenty of time," he said. Donald Trump Jr. did not clarify which office he was considering possibly running for, but he said his primary focus was on being a powerful voice in promoting his father's policies. On the Mueller investigation: He also spoke of his relief at Special Counsel Robert Mueller's investigation finding no evidence of collusion between the Trump campaign and Russia, calling the allegations "nonsense."